The Corrigan-Camden School Board of Trustees approved an extension of the Dual Credit Program between Angelina College and C-CISD. 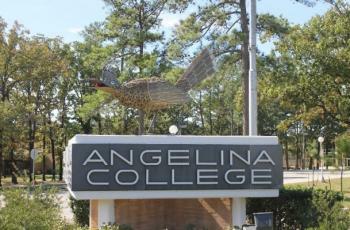 Starting during the 2019-2020 school year, 9th and 10th-grade students will be eligible to take online classes through Angelina College as part of the Dual Credit Program. Tuition will be paid for by the district. If student enrollment for summer classes warrant, transportation will also be provided by the school district during summer classes. Currently, 11th and 12th-grade students are eligible to attend Angelina College during the school day and receive both high school credit and college credit. Tuition is paid for by the school district. Transportation is provided during the Fall and Spring semesters. Students may also attend summer classes, but transportation is not provided at this time. CCHS 9th and 10th-grade dual credit students will also be enrolled in a college transition class at CCHS. The transition class will support students academically as they undertake this new academic challenge. Students will attend the College Transition Class at CCHS any school day that they are not in attendance at Angelina College. In order to be eligible to attend Angelina College, students must meet approved scores on the TSI, Texas Success Initiative, examination. This test is administered free of charge to qualifying students at the high school. The required scores are available in the attached CCISD Dual Credit document. 9th graders would be able to take Dual Credit Speech and Fine Arts online at C-C High School and earn both high school and college credit. 10th graders would also be eligible to take Speech, Fine Arts and Sociology online. Further information is available on the attached CCISD Dual Credit document that details the program. A meeting will be scheduled within the month for all interested parents and students to attend in order to learn more information about this beneficial program.